When it comes to business taxation, there are various documents and other pieces of information that you need to comply with the Internal Revenue Service’s requirements. All businesses operating in the United States or any of its territories (such as Puerto Rico) will need an Employer Identification Number. But you may need a separate tax identification number depending on what state your company is located/conducts its business. Each state has different requirements when it comes to conducting business and taxation. Even local municipalities may have additional requirements. Therefore, it’s necessary to get all the information ahead of time so that when it is time to file taxes, you can do so easily. According to the U.S. Small Business Administration, whether or not you need a state tax ID number depends on if your business needs to pay state taxes. Again, you will need to defer to each state and their respective laws when it comes to income, employment, state and other taxes. The business world has a general rule that you can only increase your earnings through indirect and not direct means. You cannot say that you want your profits to increase without formulating a plan. Business people must understand that the only way to increase their sales is by improving the variables that determine their level of profitability. Businesses should identify their profit drivers and develop a strategy to grow them without increasing costs. Improving profits involves looking for ways to increase your sales, decrease costs, and benchmarking to see how you can save money. You should also prioritize the strategies that you develop and begin with the most crucial ones. This article looks at three things you can do as a business owner to improve profits. Business people use leads to attract interested prospects. If five out of ten people who come into your office end up buying your product, you can increase the number of people who visit your business place. By doing so, you will grow the number of those who buy. You can also convert your leads into paying customers. Lead conversion depends on the effectiveness of your sales effort. You have to improve your selling ability to transform your prospects into paying clients. Learn how to speak to customers, either live or on the phone. Look at the critical factors in your sale department and improve each area. A small improvement can lead to an enormous increase in profit. Penny stocks are riskier than other stocks in the stock market. For this reason, it’s vital to understand the basics before you can start investing in them. Don’t worry though because you’re in the right place. This article will delve into the basics you must keep in mind when investing in penny stocks. After hearing the success stories of various investors and how they made millions in the stock market, you may want to dive right into the game. However, this is one of the biggest mistakes many investors make and results in a total loss. Paper trading is the best way to get your feet wet in penny stocks. This technique allows you to use virtual money to trade. Since real money isn’t on the line, there’s no need to make impulsive or rash decisions which may jeopardize your trade. What to do if you have high medical debt? 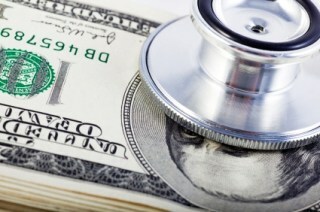 Are you finding it too difficult to pay your medical bills? Is the expense of surgery making you anxious and you are looking for ways to manage the rising medical debt? Well, if that is the case, then you are on the right page. Medical debts are very common in America, and yet nothing can rule out its importance. Hence, keep all such worries at bay and learn some excellent ways to face the bills. Think it in the other way around. If you don’t pay your bills, how will these institutions run? Here is a catch. It has been noticed that many individuals have claimed bankruptcy and ruined their credit score. You obviously don’t want that to happen. Here is what you can do instead. How can you consolidate your unpaid medical bills? Healthcare is considered to be one such budget that you can always predict. Emergency medical situations can arise at any time. According to the estimation, it has been found that the average US household generally spent around $4,612 on medical expenses. Even those who have insurance policies to cover up the medical expenses sink in huge medical debts as the insurance companies provide coverage up to a certain amount. The medical dept contributes to several bankruptcy filings in the US. Unpaid medical bills impact drastically on your credit line. If you have any unpaid medical bills, you should address them immediately so that it does not create a lasting impact on the financial aspect.